Symptoms: 1. Loss of coolant, not leaking; 2. Tappet noise. Pulled heads. 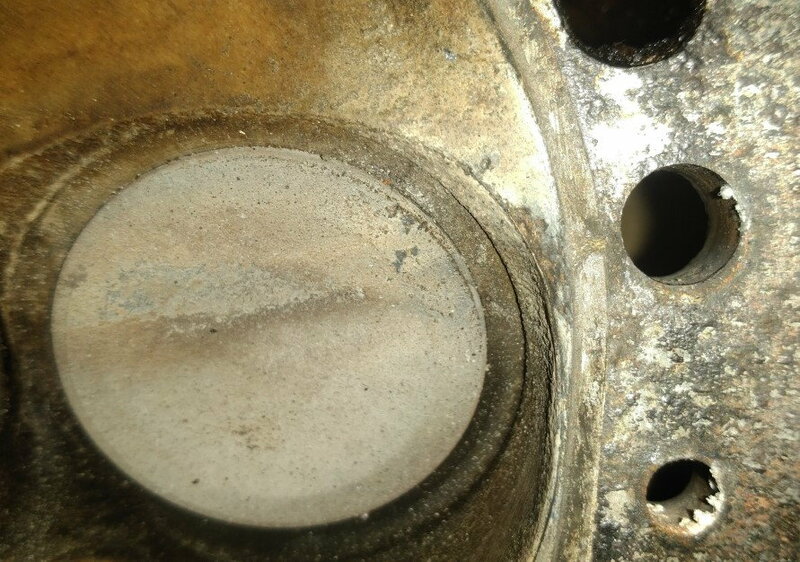 Broken lifter - intake on number 3 cylinder. 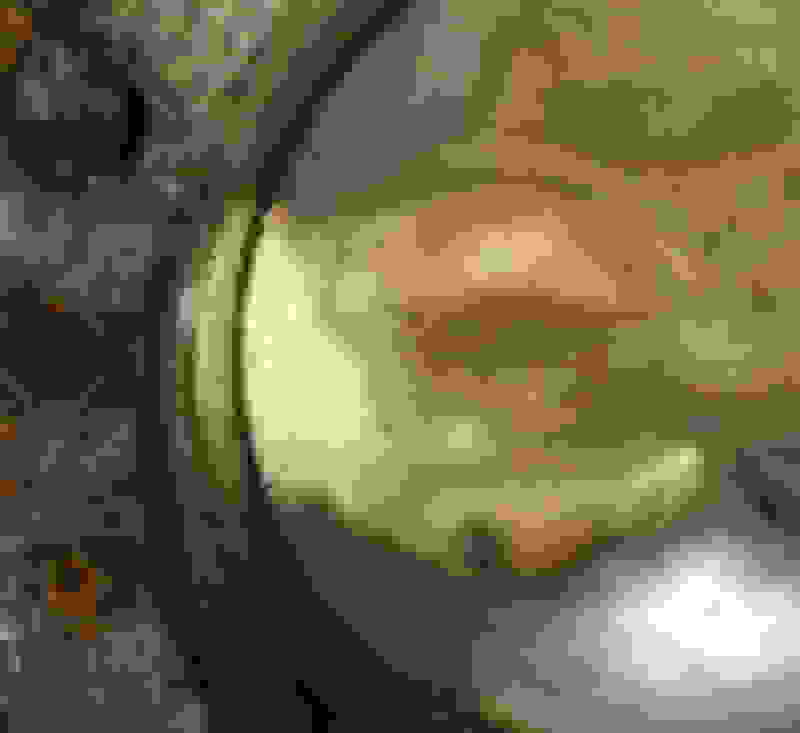 Tan mineral deposits on head, valves, and piston on number one cylinder. Tan deposits only in cylinder one. No apparent issue with head gasket in that area. Thought it was a crack from coolant hole to cylinder head area. Machine shops says no crack. Divot in head allowed coolant leakage. Surfacing heads to address divot and slight warping. Replacing all lifters - $128 insurance policy. You might pay a little extra attention to the threads of the #3 intake rocker arm stud. 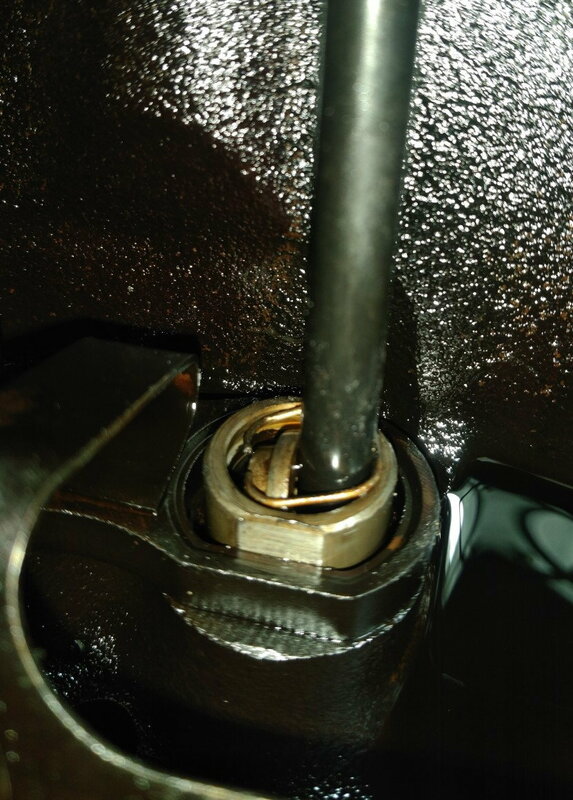 As that lifter's pushrod cup retainer came loose it allowed the cup to turn and apparently jack up the pushrod enough to pull on the threads of the rocker arm's stud. That then pulled on the cylinder head casting and flowed coolant between the head gasket and the cylinder head creating the "ditch." Head gasket or cracked head? :( i have a Bad head gasket or cracked head :) YESSSSSSSss It's mod time!!!!!! !